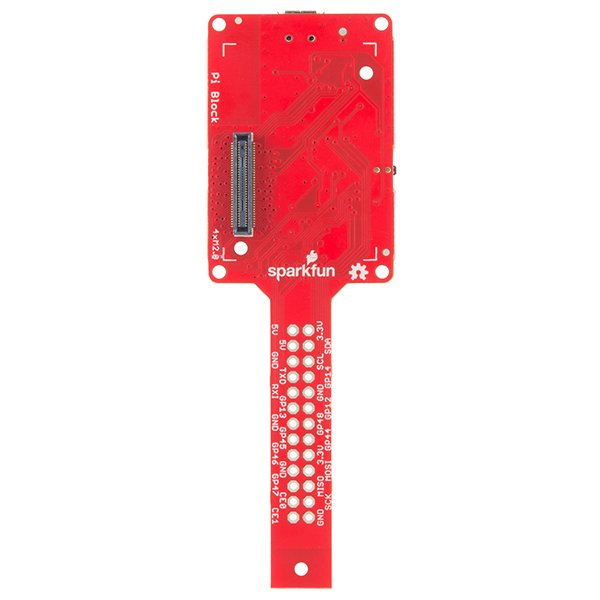 Since the Edison offers a large number of GPIO and communication bus pins, these pins can be mapped to the exact same footprint as the Raspberry Pi B's GPIO header. The Pi Block lets you use your existing Raspberry Pi B peripherals and expansion boards with your Edison while still providing level-shifted access to basic GPIO, PWM, UART, I2C, and SPI communication! This block combines the functionality of the GPIO Block and I2C Block with additional features to streamline development. Tutorial on setting up and using the Pi Block for Intel Edison. 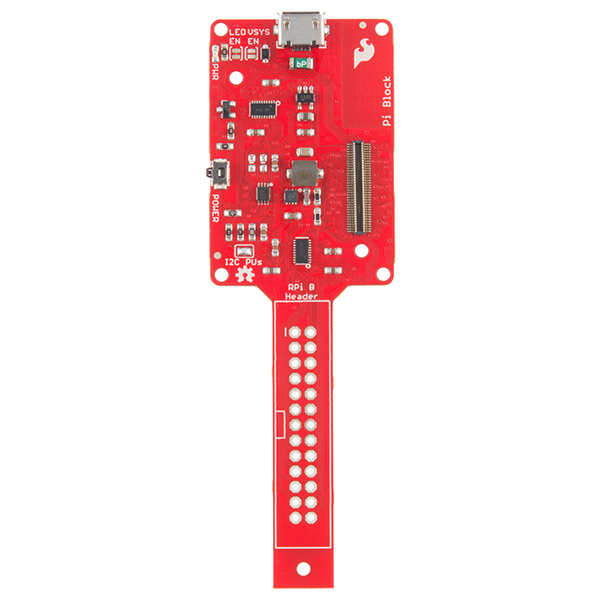 How to connect an LCD controlled by an ILI9341 driver to the Intel® Edison. Build a smart mirror that displays weather data using the Intel® Edison. The hookup guide lists "Arduino Breakout", which is confusing. Intel has their mini breakout and an arduino breakout. Can that guide be updated to simply include the pinout of the raw edison and how it hooks up to the pi module? The "Arduino Breakout" does refer to Intel's Arduino Breakout board. The table at the end of guide lists all of the raw Edison pins and the ones highlighted in yellow are the ones present on the Pi Block. Hope that helps. 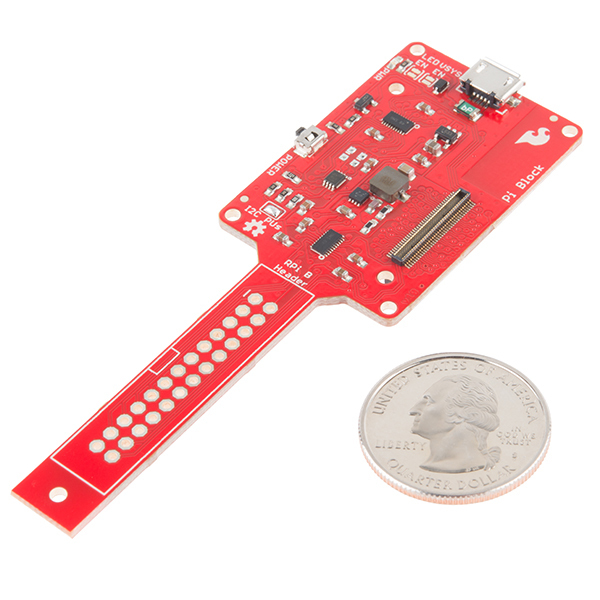 What would happen if I connected an Edison and a Raspberry Pi using this? Would one or both be damaged? Probably not the best idea, considering you would then have a common ground but potentially different voltage levels on 3.3V and 5V lines. So, yes, I would say that you could possibly damage the Edison or Pi. 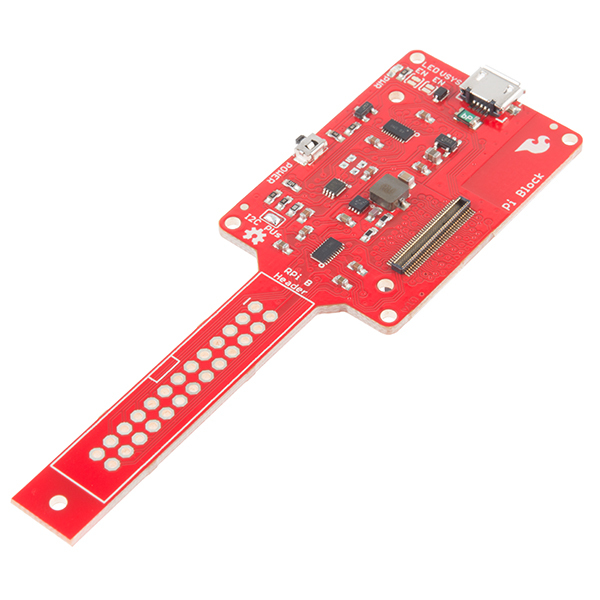 Could the board be powered by 5v being supplied to the header? Yes, you should be able to. Just make sure that VSYS EN jumper is left open. Does it level shift to 5V or just 3.3V ? And if 5V, how fast can the SPI run? Why was this made for the RPi 1? The RPi2 has been out for quite sometime now. Because, well, in all honesty, this was a design that has been on my backburner for quite some time (like, a year). I decided not to change the connector design to the RPi2 because it would have made for a VERY long PCB. The first 26 pins on the RPi2 connector are the same as the RPi1 connector, so it still works. You know, that's a really good point. I hadn't thought about the length. Does it come with 0.1 headers? It does not. If we included male headers people would complain that they wanted female, if we included female headers people would complain they wanted male. If we included both people would complain they wanted right angle or that they had to pay for headers when they planned to solder wires directly to the board... In other words we avoid including headers with boards. Doubtful. SFE tends not to ship headers with breakout boards like this.